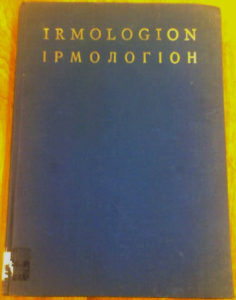 The Papp Irmologion is the primary example of the great thaw in relations between the communist government and the church in the 70s. 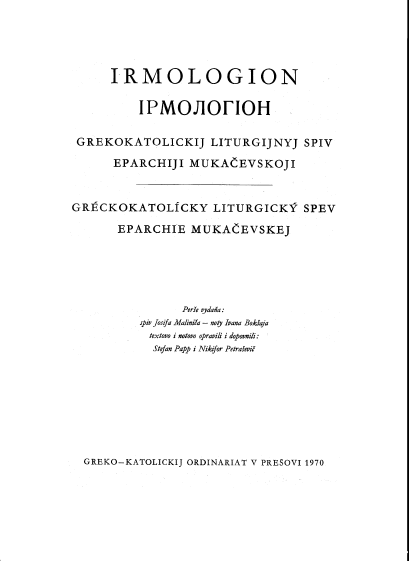 This anthology was the first printing of music for liturgical use since WWII for the region and filled an important void. 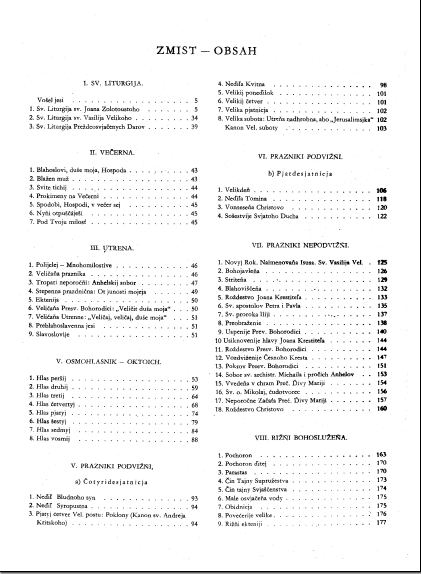 The book also contains a forward and a short chant history in both English and Slovak in the appendix. 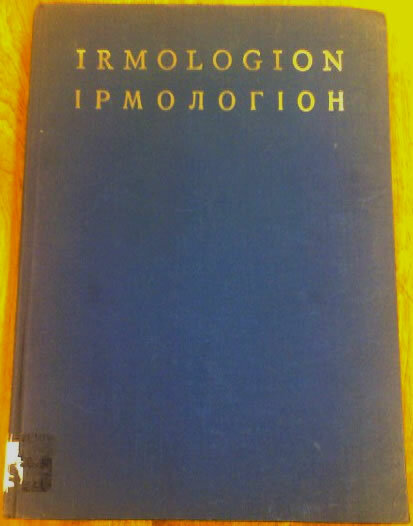 The book is in translitterated Church Slavonic with western music notation. Papp, Stefan. 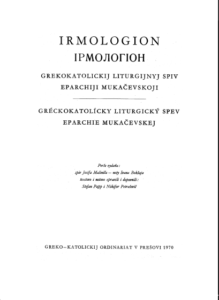 Irmologion : Grekokatolickij liturgijnyj spiv eparchiji mukacevskoji. 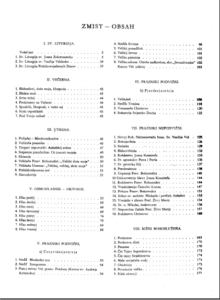 Presovi: Greko Katolikij Ordinariat, 1970.